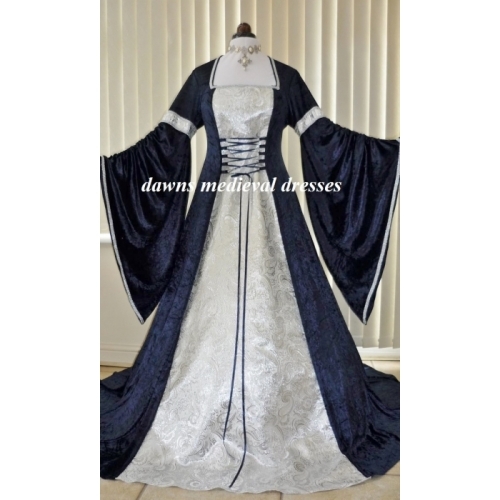 The sleeves are made from velvet with a band of silver braid. 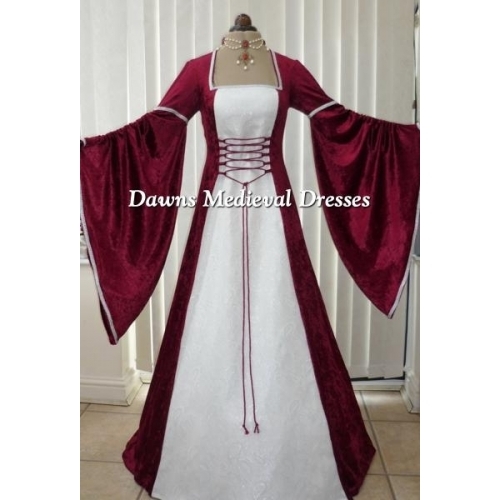 Bottom section are wide bell shape and you can gather the sleeve to required length,further defined with silver braid to the lower edge, these have a wonderful soft flowing feel. 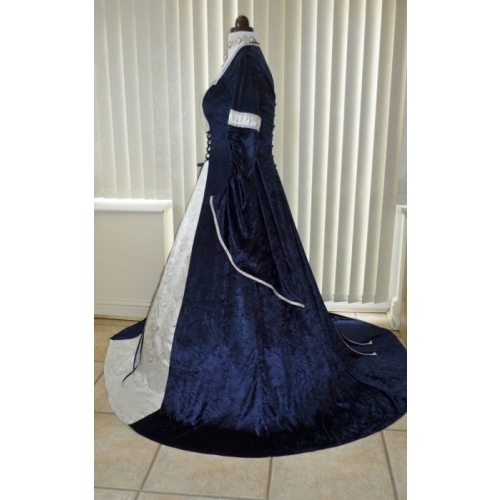 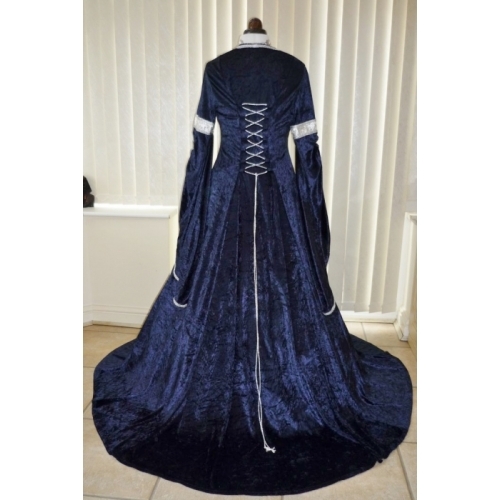 The front and back has a corset type lacing .....this enables you to tighten or loosen the dress to get the perfect fit for you .....i have supplied navy for the front with silver for the back as this add's more definition to your dress .